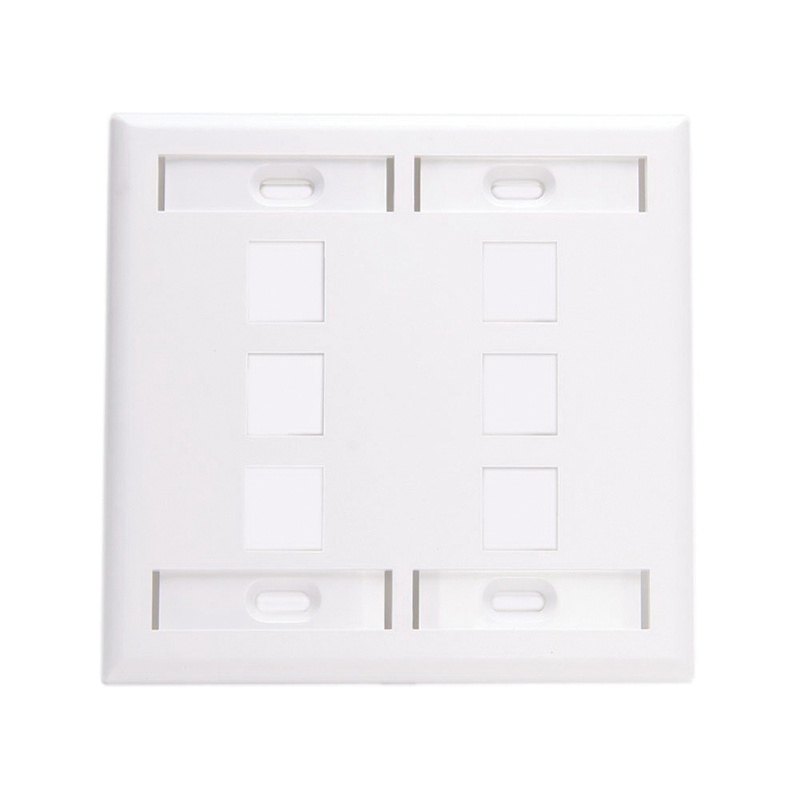 Leviton QuickPort® 2-Gang 6-Port Wallplate in white color, features high-impact plastic construction. This wallplate has a dimension of 4.56-Inch x 4.5-Inch. It supports box mounting for making installation easier. This wallplate is compatible with all individual quickport modules. It is provided with ID designation windows for easy identification. This wallplate comes with color-matched wallplate screws. It has flammability rating of V-0 per UL94 to withstand harsh environment conditions. Wallplate is UL/cULus listed and CSA/ANSI/TIA-568-C certified. * Inventory displayed is accurate as of 04/23/2019 22:40 PDT.